Yes, even the Google Video Search allows you to filter your results with Search Tools. The most important ways to filter video results are by duration, and source. You may be working on a project, a Google Slides presentation, or a lesson in which you need to filter for duration. You may only want a very short clip of your topic, or maybe something a little longer, such as the week before break. 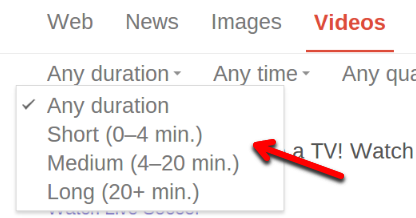 Google allows you to filter your videos by short, medium, and long. 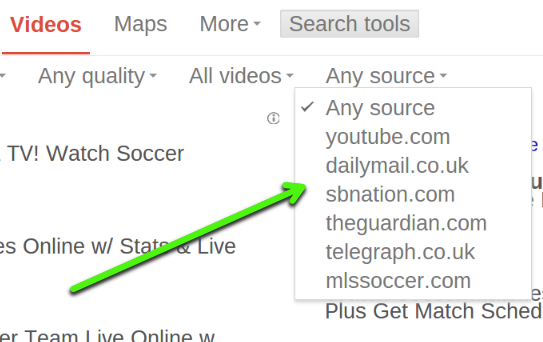 Another important way to filter your video search is by source. In our example of the World Cup we may only want results from YouTube or SBNation. In the "land of the free" there still may be schools that censor YouTube, this filter would allow you to only get results from those sites that pass your school's filters.